Kirby Mosenthal is easy to pick out at local races; she’s the one sprinting to the finish and then turning to high five the people coming in right behind her. With a ready smile and a relentless pace, Kirby is a frequent visitor to the podium, most recently landing a top 5 spot at the hotly contested North Face Endurance Challenge Marathon at Bear Mountain. 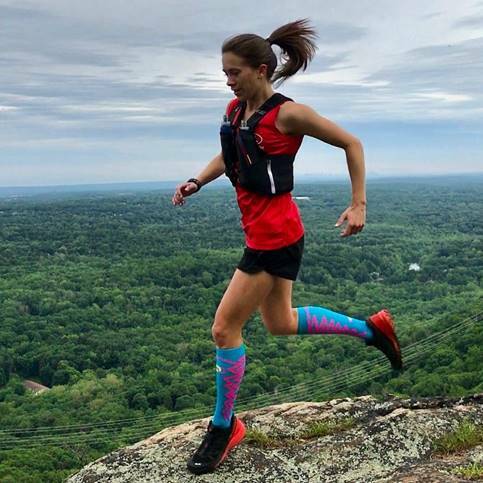 Despite all that speed, the Westchester native insists that the best thing about trail running is really the change of pace: "You can leave your watch at home. As road runners, we feel like we need to pay attention to pace all the time and with trail running, you can just go. The terrain might mean you have to power hike or there might be a huge stream you have to cross. You just roll with what the trail gives you." Gear for the trail is also distinct, and Kirby adds "I always like to have a few essentials with me. I love my S Lab Ultra shoes, they can handle any trail conditions really well. I pack my vest with water, a hat, snacks and a map just to be on the safe side”. "You don’t have to travel far to to get started trail running”, she adds. All of the major NYC parks have some trails, from Van Cortlandt cross country course in the Bronx, to the Staten Island Greenbelt. “Just outside the city, you have Rockefeller State Park, Blue Mountain and Ward Pound Ridge too, lots of options." When thinking about her dream trail racing challenge, Kirby says it’s tough to pick. “ There are so many good ones! I would love to get out and try Broken Arrow in Squaw Valley or maybe even head to Spain for Transvulcania. “ In the near term, Kirby plans to race locally at the Salomon New York Series this fall and hone her skills. 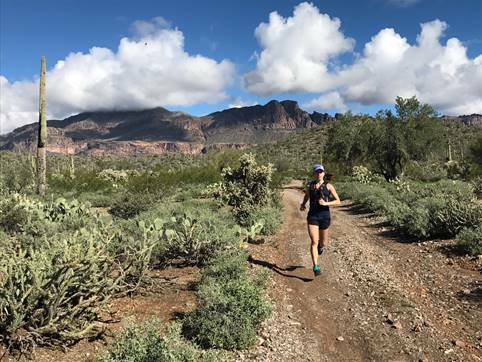 She encourages everyone she meets to get out there and give trails a try: “ we don’t get a chance to be out in the woods enough- take time and appreciate the beauty of it.” You can follow Kirby’s adventures at @Kirbrunner and catch up with her at a new running workshop here. This article brought to you by the team at Salomon. Join their Ultra or 5K at this year's OutdoorFest.